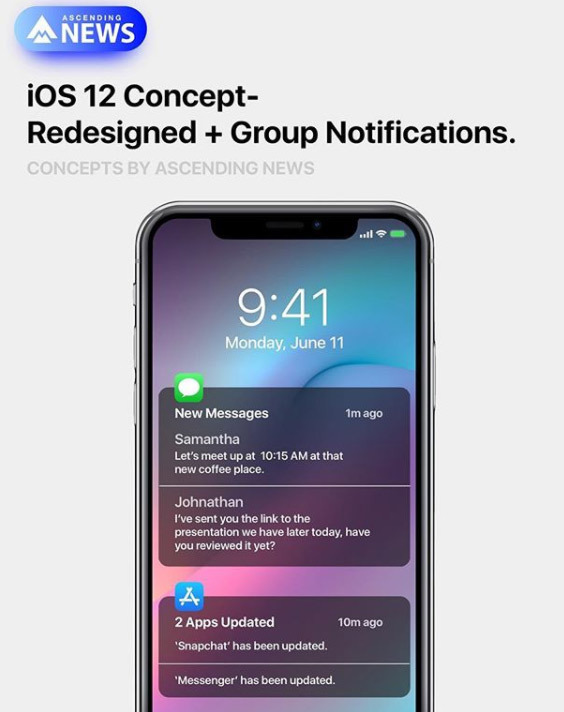 A new iOS 12 concept, created and shown off by Ascending News, imagines what Apple’s next-generation mobile platform could look and feel like, and includes a new grouped notification system, a cleaner more aesthetic design, and a much needed Guest Mode. We’ve now been ladened with iOS 11 for approximately four months, which, in the mobile world, means that it’s about the right time for people to start thinking about how Apple can change and improve that experience moving forward. Naturally, it makes perfect sense to look at things from a software perspective and how Apple can improve iOS to the betterment of all compatible devices which will be able to install it when it’s announced and released later this year. 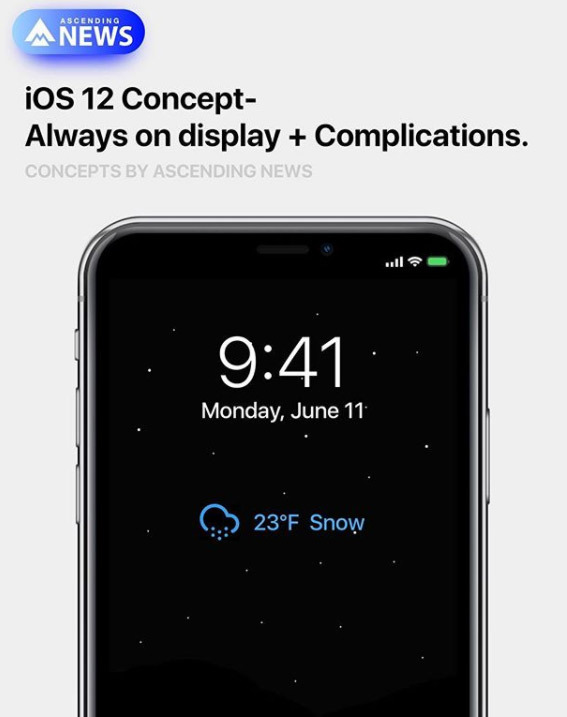 With that said, some of the ideas included in this iOS 12 concept are actually believable and potentially achievable, whereas others are likely to be divisive and never see the light of day. To begin with, we have a Home screen experience which has been stripped back to make the UI simpler, cleaner, and more aesthetically pleasing to the device owner. This is handled by removing the app and folder titles to make the main Home screen look and feel more like the docked icons on iOS 11. We’ve seen this approach previously with multiple WinterBoard and Anemone themes for jailbroken devices but have never seen Apple implement it directly. We then move on to a notification redesign which floats the idea of grouping notifications together which are part of the same application. As an example, all notifications on the lock screen containing iMessages would be grouped efficiently under one Messages app header. 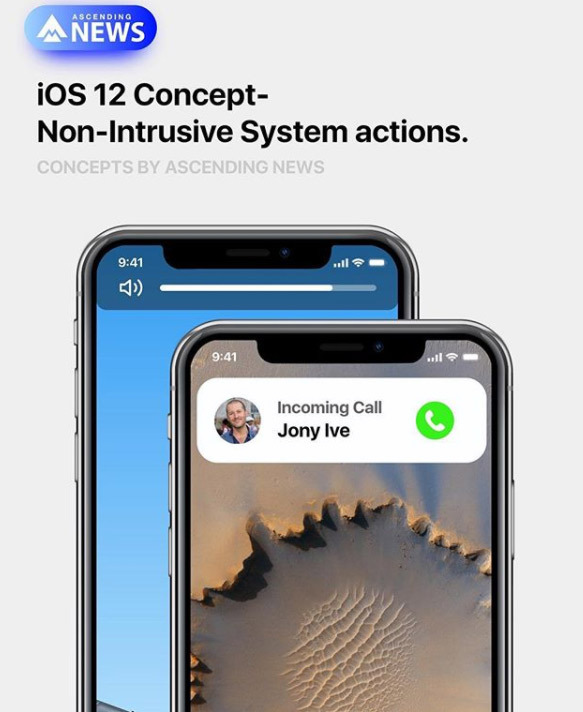 Interestingly, Ascending News is also talking about implementing a Guest Mode into iOS 12, which is one of those features that will likely split opinion. 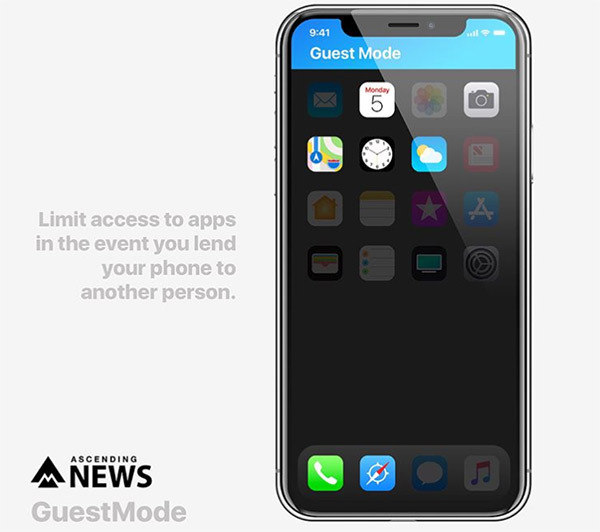 According to the limited information available, the idea behind this Guest Mode would be to allow the owner of the device to limit access to certain apps, content, and information in the event that the device running iOS 12 was handed to another user for a limited period of time. 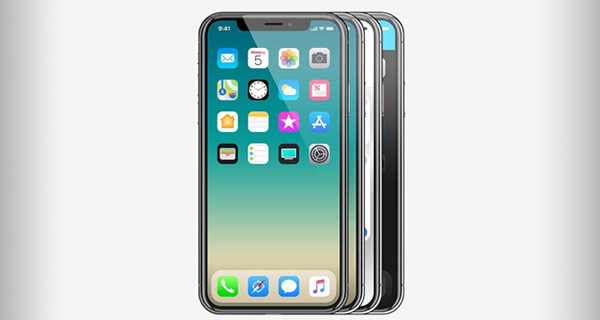 Those features are augmented by an always-on display with quick access to specific information, the ability to block access to individual apps with Face ID, and even a native battery-saving dark mode to preserve battery.